The GuestHouse Inn Aberdeen is conveniently located in downtown Aberdeen, Washington along the Chehalis River. 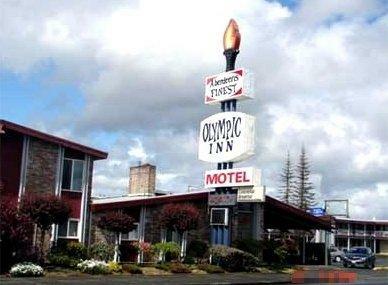 This completely non-smoking hotel is within walking distance to many local restaurants. We are only 30 minutes away from both the north and south beaches, Ocean Shores and West Port, where travelers will find clamming, deep sea fishing, kite flying, beach combing, horseback riding, bike riding, enjoying the casinos, or just relaxing. Our hotel offers complimentary wireless internet and deluxe continental breakfast as well as being a pet friendly hotel that can you and your whole family can enjoy. From Olympia HW 12 turns to HW 101N. Go 9 blocks to Alder St. and turn left. Go 1 block, we are on left hand side.